Walking into The Warehouse Hotel , you’ll find yourself greeted by an interior reminiscent of a godown back in the 19th century. The hotel used to be a breeding ground for secret societies and illegal spirit distilling before it was refurbished into a disco and finally, a swanky hotel. How cool is that? 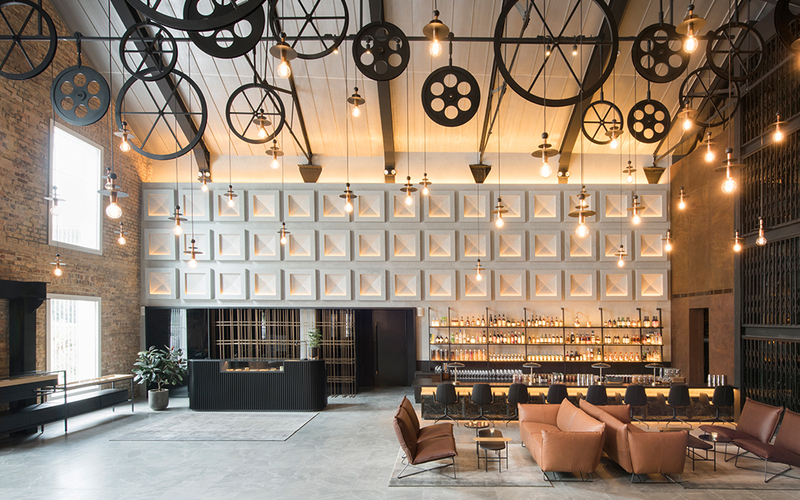 The entire hotel is fashioned by local design agency Asylum, and the ceiling light displays you see are inspired by pulley systems used in the godowns along the Singapore River. 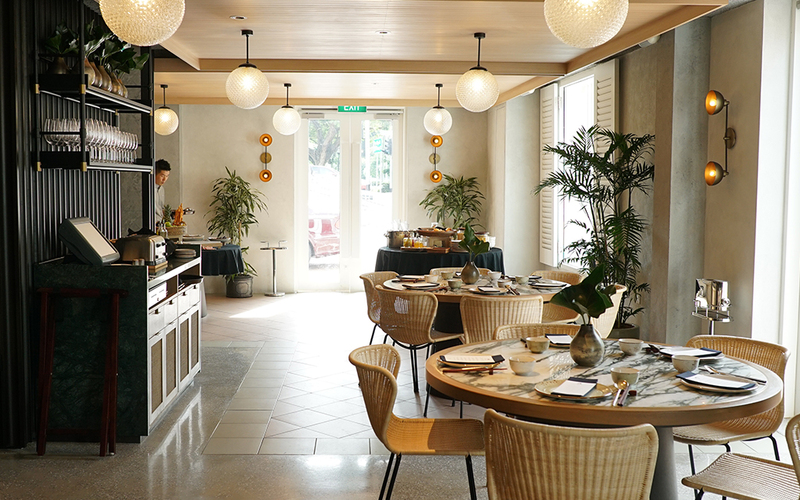 The Warehouse Hotel works closely with home-grown brands to bring you a look at Singaporean heritage and culture. 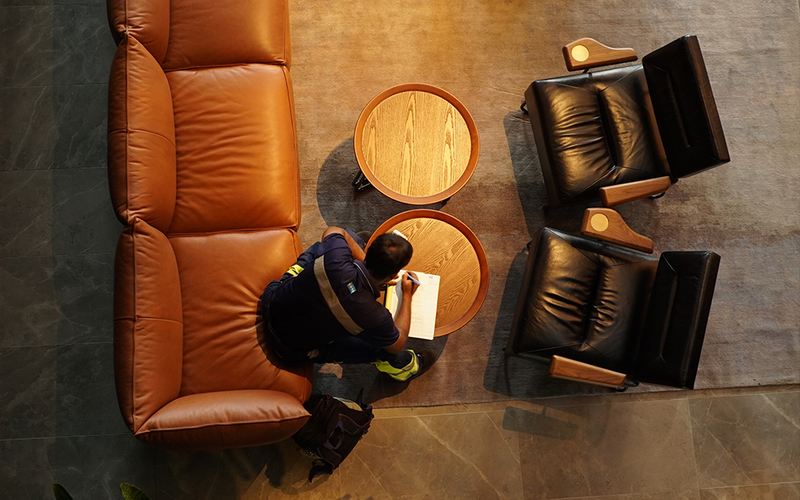 The lobby is equipped with an area to host events or meetings, a comfy seating area and a bar! The bar is split into 3 separate eras. The go-down era (note the jars of spices), disco era (head-shaped cups) and modern Singaporean cocktails. 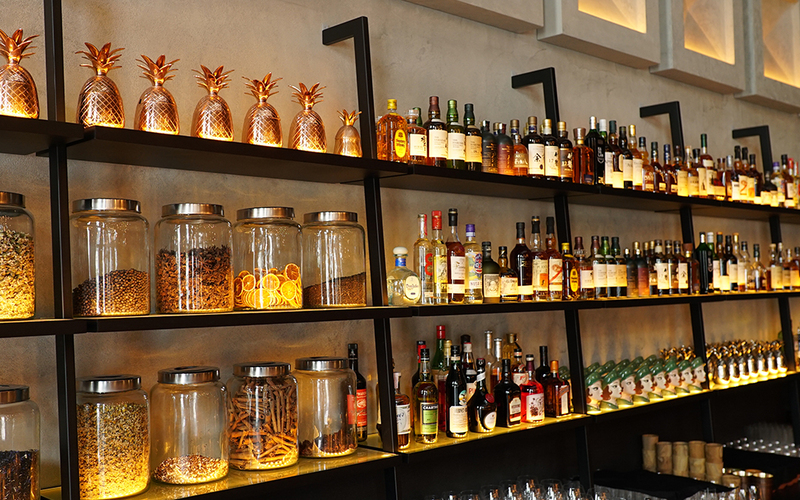 Have your go at the drinks while waiting to check-in! The hotel lobby also displays the tools used by the people who used to work in the go-down. 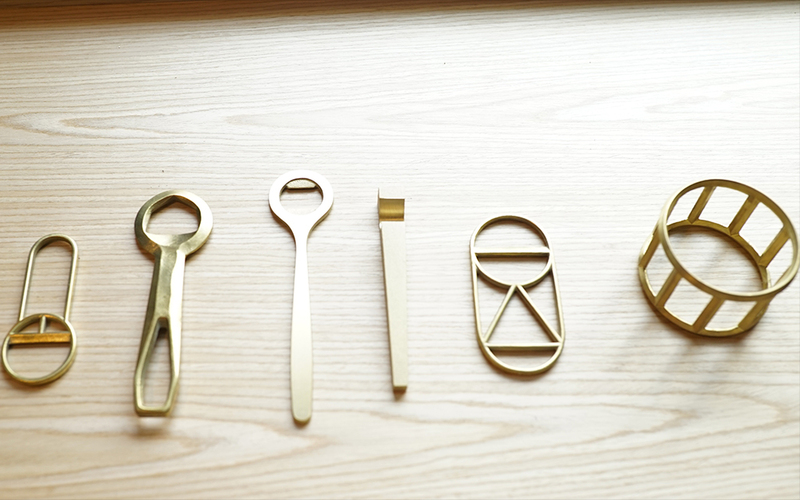 Coined “Objects of Vice” by creators Gabriel Tan and Edwin Low of Supermama, these bottle openers will take you back to the yesteryears of trade in Singapore. 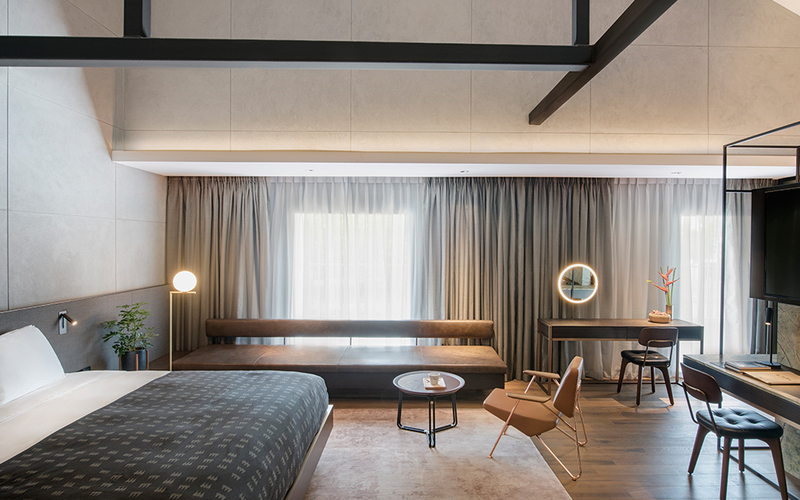 All 37 rooms in the hotel include elements of the original warehouse design, such as the double-high ceilings. The original beams of the go-down have been preserved as well. The rooms are mostly furnished by locally sourced brands, including the decor and minibar, fashioned as a bird cage. The Warehouse’s restaurant, Po, serves ‘mod-sin’ (Modern Singaporean) food. Its name is meant to represent the ‘Po’ in Popiah and also Popo (grandma).The menu was carefully crafted by chef Willin Low, founder of Wild Rocket, which was ranked no. 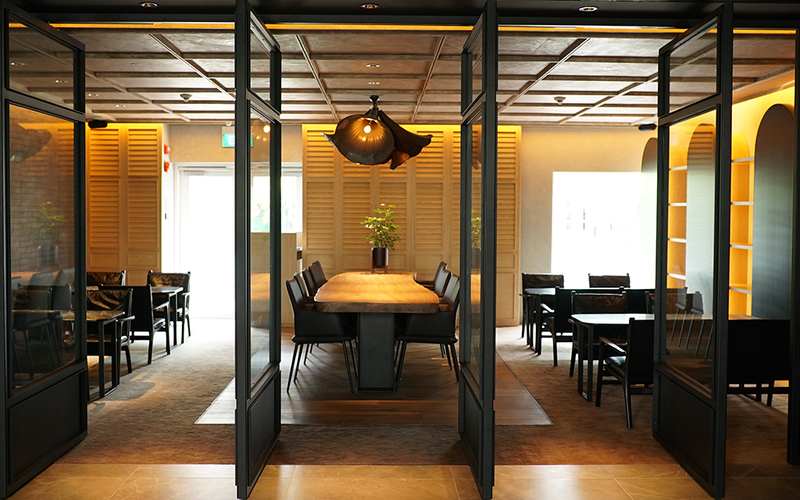 38 in Asia’s 50 Best Restaurants 2016. Book a room at this modern space for a staycation you’ll never forget!